Regulators are looking into whether plans by five major airlines to fund a new online travel site are anti-competitive. The company, called Orbitz, is owned by UAL Corp.'s United Airlines, AMR Corp.'s American Airlines, Delta Air Lines Inc., Continental Airlines Inc. and Northwest Airlines Corp. Thirty other airlines have agreed to join as affiliates. The site, which hopes to add hotel, car rental and other services, is expected to launch in the fall. The venture has sparked a review by regulators and evoked skepticism that an airline-funded retail travel venture will ultimately benefit consumers. Critics, including travel agents and competing Internet travel sites, charge that Orbitz will reduce competition and cut them out of selling certain low fares. "Orbitz could potentially benefit consumers and airlines by providing a wider range of fare options, bias-free displays, and reduced booking fees," Department of Transportation Inspector General Ken Mead told a Senate Commerce Committee hearing Thursday. "But red flags raised by competitive issues, such as airlines potentially restricting their lowest fares exclusively to Orbitz, must first be resolved." 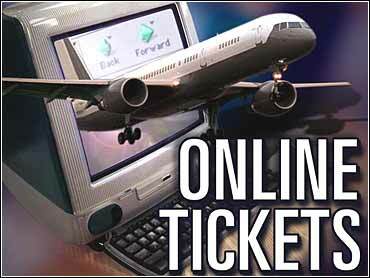 The DOT and the Justice Department are reviewing Orbitz's plans to provide travel information on the Web. Mead and others worry that there is little incentive for airlines to offer their lowest Internet fares outside of Orbitz, since the venture will discount computer reservation fees to participating carriers. As a solution, Mead suggested airlines be required to make available any fares they offer to Orbitz to other reservation systems willing to give the same rebates on booking fees. Commerce Committee Chairman Sen. John McCain said Orbitz's search engine for fares was impressive, but he was skeptical given the history of anti-competitive behavior by airline owners of computer reservation systems. "We need to look at the down-the-road market power of a site that may be the only outlet for the best deals that the airlines have to offer," said McCain. Competitors have mounted a fierce lobbying campaign against Orbitz through the Interactive Travel Services Association (ITSA), which has declined to consider Orbitz's membership application until it passes antitrust review. ITSA's members include include Travelocity.com Inc., 62 percent owned by Sabre Holdings Corp., and Expedia Inc., 70 percent owned by Microsoft Corp.
Travelocity and Expedia are the first and second largest players respectively in the online travel business. Orbitz Chief Executive Jeffrey Katz said they were a potent duopoly that needed competition. "Orbitz is part of that solution," he told the hearing.